This month, I have been trying to find substitutes for some of my favorite restaurant and cafe products, and looking for ways to make them healthier without forgoing taste. One of my favorite treats that my husband and I both love are green tea smoothies and lattes. While they are very yummy, they aren't exactly the best in the way of calories. Many of the best recipes I found online included green tea matcha in the ingredients, something I had never used in baking or making drinks in my Vitamix. Having no clue where to start, I was really excited when I was approached by Kiss Me Organics to try their Match Green Tea Powder. To say the least, I waited anxiously for it to arrive in the mail, excited to try making my own green tea dessert drinks! Looking for a way to get more antioxidants into your diet? If so, you will love Kiss Me Organics Matcha Green Tea Powder! This powder has 137x the antioxidant powder of brewed green tea and is considered the secret to beauty, longevity, and health in Japan. Not only is it great boosting your metabolism, but is also known for boosting energy levels for 4 to 6 hours, making it perfect for anyone who is looking for a healthy way stay awake. With its awesome taste and fine texture, this matcha is perfect for baking, smoothies, or even making a yummy hot latte! 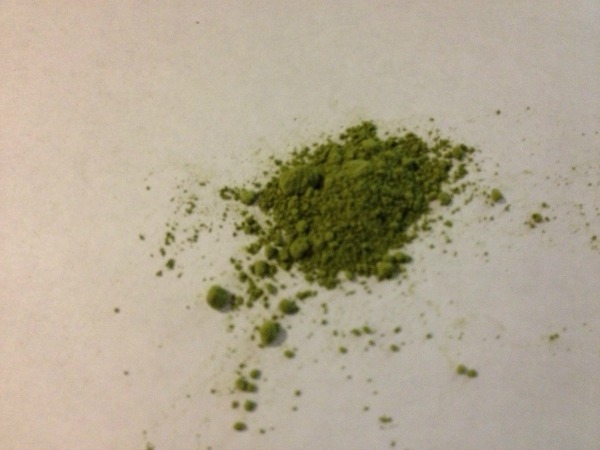 When I first got my Kiss Me Organics Matcha Green Tea Powder, I was unsure how I was going to use it. For years, I have known the benefits of drinking green tea, and I knew matcha has been very popular in Japan for quite some time. I also knew it was a big ingredient in making some of my favorite green tea smoothies. To me, being able to make one of my favorite drinks at home was a major plus, especially if I could make it healthier by cutting back on sugar and getting the full benefits of adding my own green tea matcha. 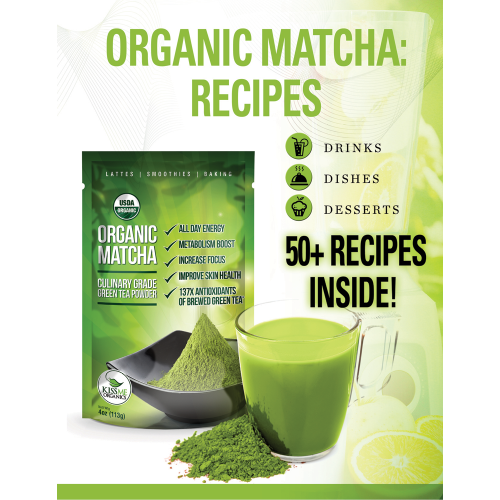 When I made my first green tea shake, I was surprised with the flavor of Kiss Me Organics Matcha Green Tea Powder. I was expecting a very bitter product, not something that was not only easy to use, but tasted great in just about everything! The only thing I learned quickly that you have to be careful about is measuring, or you can get a bit of a powdery texture in your drinks from the product. So far, I love this green tea matcha powder. It is extremely easy to use, inexpensive, and very high quality. Best of all, it has the most wonderful flavor, making it perfect for smoothies, baking, or just making yummy green tea shakes. Based on my own experience with Kiss Me Organics Matcha Green Tea Powder, I am happy to give it an A rating and highly recommend it to anyone who loves green tea! Would you love to try this wonderful green tea match? You can purchase Kiss Me Organics Matcha Green Tea Powder on Amazon.com for $25. To learn more, also make sure to check out Kiss Me Organic's website. Once you have tried this wonderful product, you will want to use it in everything! Disclosure: Budget Earth did not receive compensation but did receive products for review purposes from Tomoson.com. Budget Earth may, however, receive compensation through purchases from affiliate links in this post. All opinions on this product are my own and may differ from our readers' opinions. I am a little curious to try this. So many people saying that this green tea power is so good for you. Thanks for the review! I love green tea! I love green tea, this looks like it would be really good!!! Sounds yummy and healthy.. Thanks for the review. i love green tea and its so good for you. I may have to give this a try! Thanks for sharing! Thank you for the review! I may grab some on my next amazon shopping trip. I've never tried powdered tea. I do enjoy green tea and was surprised to read that you can cook with it. That's interesting. Thanks for the review! There is a lady who started making her own powdered tea in a teeny town close to mine and now I see it in stores 🙂 http://m.groundgreentea.com/ cool huh? One of my favorite sushi restaurants serves a delicious green tea ice cream that I would love to try replicating at home. 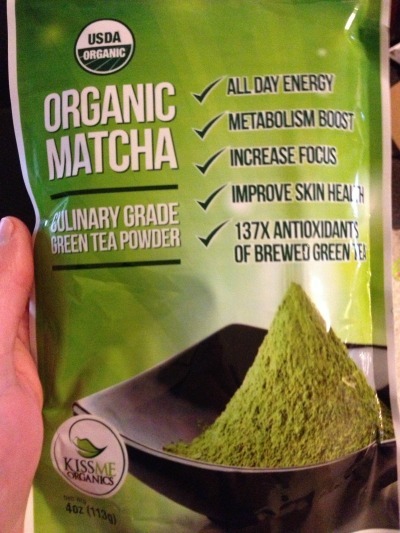 The Kiss Me Organic Matcha Green Tea Powder sounds like a wonderful and healthy ingredient for me to use. I would also love to check out their other recipes. Thanks! I’m Native American Indian and use alot of herbs, and all well I go my package of this product today in the mail, and I didn’t get any directions with it so I don’y have any idea on how much of this stuff to use per severing, so if there is a paper showing how to use it please send or email it to me. so I can start using it.